Lane changes are one of the most common causes of accidents on the roadway. In fact, according to the National Highway Traffic Safety Administration (NHTSA), 18 percent of all accidents on roadways occur during lane changes. Although it is impossible to escape all danger when changing lanes, there are multiple steps one can take to ensure a greater level of safety. Furthermore, taking steps to improve safety when changing lanes will also ensure that one is compliant with New York State Vehicle and Traffic Law. Question: If two cars collide while one is changing lanes, which car is responsible? 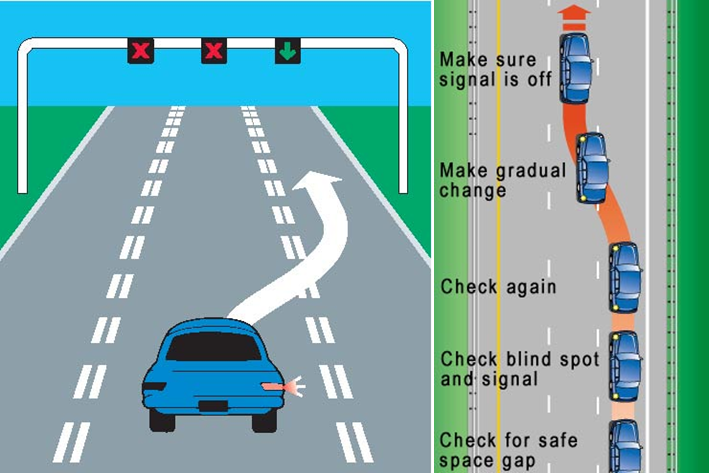 Answer: The vast majority of the time, the vehicle which is changing lanes will be held responsible for the accident. A motorist shall be held liable as a matter of law for an unsafe lane change which is a proximate cause of an accident. See e.g. Pipinias v. Ferreira, 153 A.D.3d 1073, 1074, 65 N.Y.S.3d 533, 535 (2d Dept. 2017). If you or a loved one has been hurt in an accident that involved an unsafe lane change, you should contact a NY Personal Injury Lawyer who is experienced in handling motor vehicle accidents and cases involving lane changes. For a free consultation contact the law firm of Zalman Schnurman & Miner P.C. at 1-800-LAWLINE (1-800-529-5463).